Back-Up Generators — Do I Need One? Ontario recorded extreme weather conditions from massive snow storms in the winter; to heavy down-pour causing rapid floods–even on highways in the summer. In Mississauga, a severe storm knocked out power to thousands–about 80% of the city’s 700,000 residents were without power according to Enersource (July 8, 2013 by ctv news). As many as 300,000 Toronto Hydro customers lost power, PowerStream Inc. said 20,000 customers were knocked off the grid in Markham and Richmond Hill (July 8, 2013 by The Canadian Press). These phenomena most often result in a trail of destruction, while the power outages leave homes, businesses–entire communities insecure and in the dark. SRP Electric has included products in its portfolio to make sure residents and businesses in and around Peterborough and the Kawarthas are well prepared for these ever extreme weather conditions. 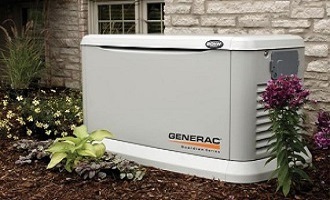 SRP Electric now offers sales and installations of Generac® designed and manufactured back-up generators. Our certified electricians install permanent standby generators that are wired to your electrical panel. So if power goes out, the generator automatically kicks in (without you noticing) and keeps the house warm (or cool), the refrigerator, stove and television running, the automatic garage-door opener churning, the lights on and the neighbours jealous. We offer fixed and portable generators to suite your different needs. Fixed generators are secured to a ground substrate and provide your home with continues power when needed. 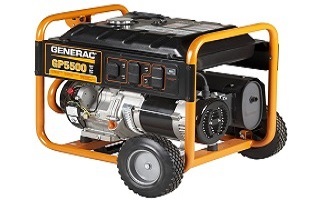 Portable generators provide flexibility in usage for the outdoors or at the cottage. These range from generators for powering your vehicle to 17,500 watt portable generators. We also provide Power washers, and power inverters. Maintaining a constant flow of electricity supply for commercial facilities makes the difference between gaining thousands of dollars to losing revenue, and products. We sell and install ‘quite and powerful’ commercial standby generators for all businesses. We offer commercial series of generators that ensure you stay open and remain competitive, while our ‘mobile power’ generators help provide electricity to your outdoor activities such as trade shows and fairs. Data Security is very important in today’s digitized world–don’t let your company’s digital information be lost due to a power outage. Maintain campus security at all times–power outage can represent a severe security risk to property. Our Industrial standby generators ensue a smooth transition of power when the grid goes dark. We offer Gaseous Power, and Diesel Power generators for demanding industrial applications. 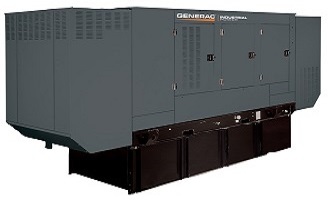 We also offer Generac’s Bi-Fuel generators which are reliable and have a clean power source. Generac’s integrated Modular Power System generators, and Generac’s Gemini Twin Pack when space is limited. Help reduce your electricity costs at your business and at home by upgrading and updating your lighting to more efficient compact fluorescent and LED light fixtures. Call us today to learn about the cost-saving options available.